Superdry men's short sleeve Rookie parachute lite shirt. 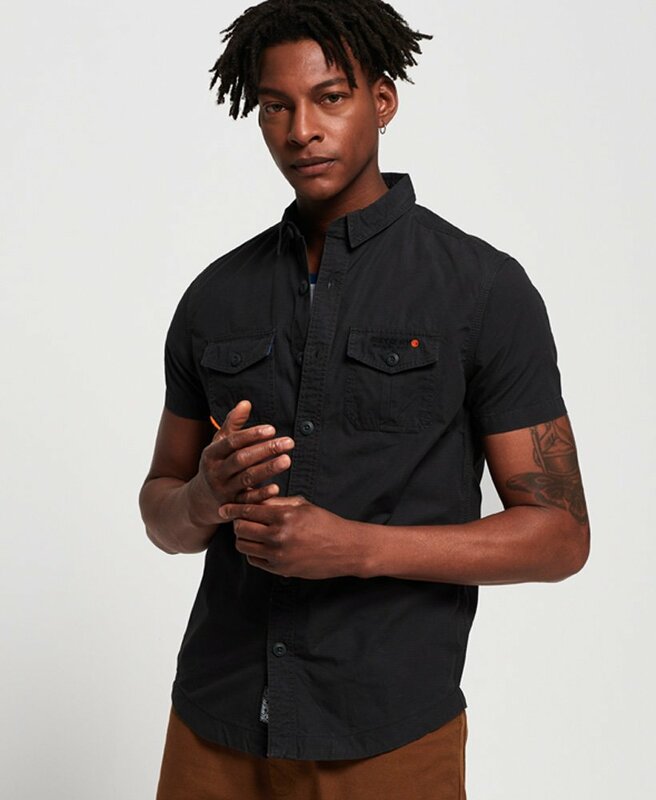 This short sleeve shirt features a classic button down front, two chest pockets and an embroidered Superdry logo on one pocket. Completed with a Superdry graphic badge on one sleeve, a Superdry logo badge on the placket and an orange tab on one pocket.